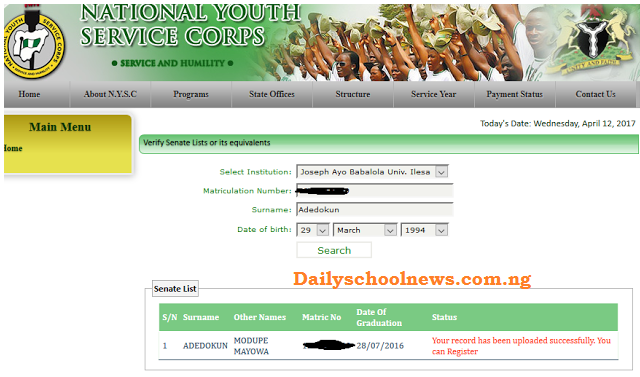 Using this medium, the Dailyschoolnews Nigeria team wish to notify all prospective corps members, that the Nysc senate list for Batch A 2018 has been released and published online. All 2018 batch A Prospective Corps Members (PCMs), should take note that they can now check the senate approved mobilization list for their various institutions online, using the official guidelines shared below. 5. Finally, click on the SEARCH button to access the mobilization list. All prospective corps members should be informed that the board is currently uploading of names of all PCM, which is scheduled to end on Wednesday, 19th April 2018. If you don’t see your name now, probably your school is yet to upload it. 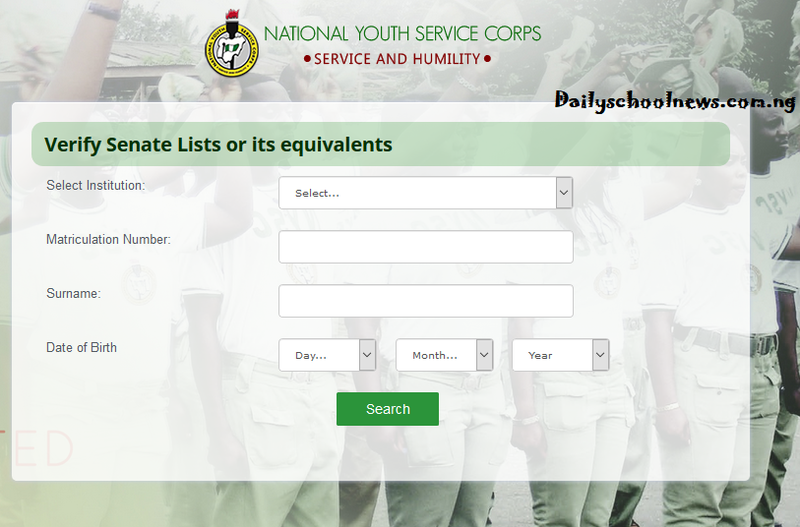 All Prospective corps members are also required to contact their school for any issues concerning the uploading of PCM names. All prospective corps members who paid for the online registration during the previous NYSC batch Mobilization process but were not mobilized need not to pay again, since their last payment is still active. Another important information you need to know, is that the ‘Registration for Remobilization’ is required only for corps members that have been mobilized in a previous NYSC batch, but absconded from service. Please take note that we will surely continue to update the list as we get more information from other schools regarding them uploading their list. Stay tuned and don’t forget to share this information with your friends on facebook, twitter and google+, using the share buttons below. Please also note that you can help us by commenting if your school has also released their list, so we will update this list.